This is a call to all food lovers and greedy-guts from Singapore and abroad. From the 11th to the 20th of July 2014, join us for a gastronomic trip to Singapore as it celebrates all the richness and diversity of its food heritage. Singapore Food Festival is a massive draw for both locals and visitors and this year it won't fail the hungriest expectations. For those food travelers who can’t make it through the whole festival, we’ve set up two weekend itineraries for them to explore the best of Singapore's local food in just three days. Come and take a walk down memory lane from Indian, Nonya to Chinese gastronomies and all in between. Discover and rejoice in dishes from the past, local favourites and their modern twist. It will all start at Chinatown Food Street on 11 July but the food frenzy will spread throughout the island, from Chinatown and Little India to Orchard Road, Sentosa and beyond. There will be some memorable gastronomic experiences but the places are limited, so read this article and be ready to enjoy the best of the makan season in Singapore. 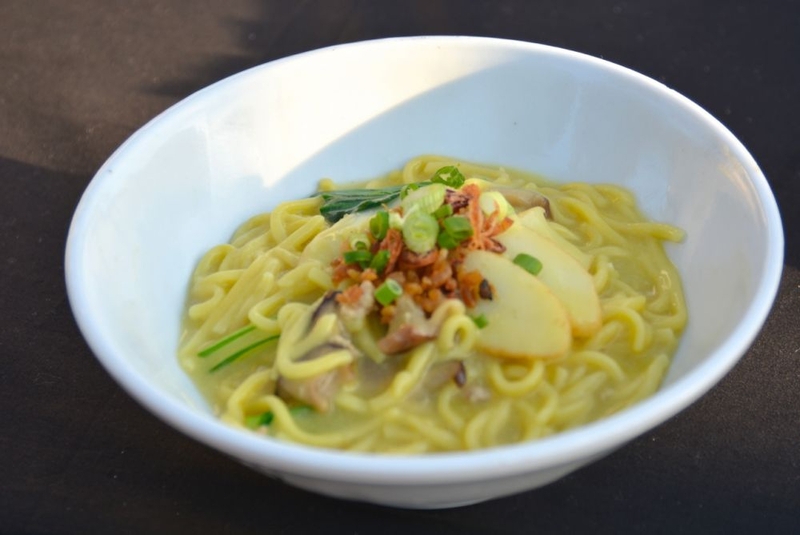 Singapore Food Festival, also dubbed as SFF, revolves this year around five trends of cuisine found in Singapore. On the newly renovated Chinatown Food Street on Smith Street, the Singapore Chinese Dialect Heritage Feast will showcase up to 20 dishes from the olden days such as Paper Baked Chicken and Hakka Rickshaw Noodles, which was rickshaw pullers’ favourite. Adding to the bygone ambience, visitors will be greeted on the launch day by samsui women and coolies characters, these communities from the past, who formed the early foundation of Singapore’s workforce. (11-20 July 2014 from 11am-11pm). For the first timers to Singapore, they must absolutely register to the ION Orchard Local Food Trail, which takes place only from Mondays to Fridays during the Festival. This is a fantastic opportunity to enjoy for free a series of sampling and demonstrations of Singapore favourite food including Kaya Toasts, Peranakan Kueh, Chili Crab (ION Orchard B4, 11 July and 14-18 July 2014, 11.00-11.45am; +65 6238 8288). For a bold take on Singapore local food, head one level up to ION Orchard South East Sliders @ ION ORCHARD. Chef Damian D’Silva came up with some innovative creations with pastry pockets filled with Beef Rendan or Chicken Debal, that will certainly draw the youths and street food advocates. (ION Orchard B3, 11-20 July 2014 from 10am to 10pm). 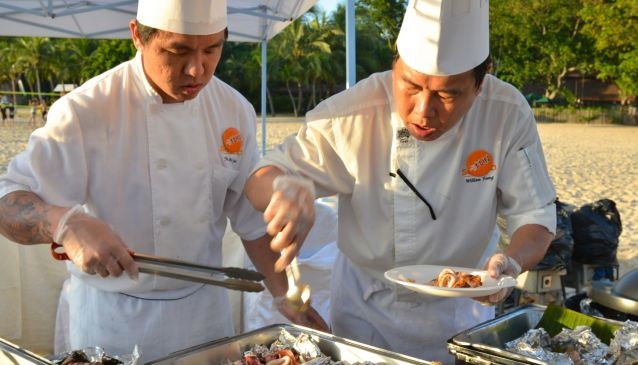 BBQ by the Beach is another stirring highlight of the Singapore Food Festival 2014. Dine in style while catching the romantic sunset at Palawan Beach. Only four dates and already one sold out! So don’t delay, get your tickets fast! (Palawan Beach, 11,12,18 and 19 July 2014). Watch our video and get into the island mood! If you prefer to experience the Singapore Food Festival during the weekend because of time constraints or work commitments, we've set up two long-weekend itineraries that require to make your stopover to Singapore from Friday morning until Sunday late afternoon. 12.30pm Enjoy a two-hour shopping expedition on Orchard Road. It's still the Great Singapore Sale! 5.30pm After having dropped your precious finds and relaxed a bit at your hotel, head down to Chinatown for some souvenir hunts and cultural ramble. Don't forget to catch up on emails, Facebook, Twitter, Instagram and Pinterest. You can get free Wi-Fi access while wandering through Smith Street, Trengganu Street, Pagoda Street, Sago Street and Kreta Ayer Square. 7pm Smith Street near the Buddha Tooth Relic Temple is the place to gourmandise and explore the Singapore Chinese Dialect Heritage Feast. 9pm Go for a drink on Club Street or Ann Siang Road and enjoy the great pedestrian vibe as they are closed to traffic every weekend Friday and Saturday from 7pm till 2am. 8.30am Have a hearty breakfast the local way at Tekka Market hawker place on the ground floor with the famous roti prata and Teh Tarik at Prata Saga Sambal Berlada ((#01-258). Then explore further the famous wet market. 10am the whole of Little India is a real treat for your senses, take your time to explore Little Arcade and the famous Mustafa Centre. 12.30pm If there’s only one dish to try in Little India this must be the Fish Head Curry. And during the SFF2014, it comes complimentary with a minimum expenditure at The Banana Leaf Apolo, Jade of India Restaurant, Anjappar Restaurant, Samy’s Curry and Karu’s Indian Banana Leaf Restaurant. 2.30pm Play time at Sentosa! After so much eating, take a nap on one of Sentosa's beaches or go for an afternoon of fun. 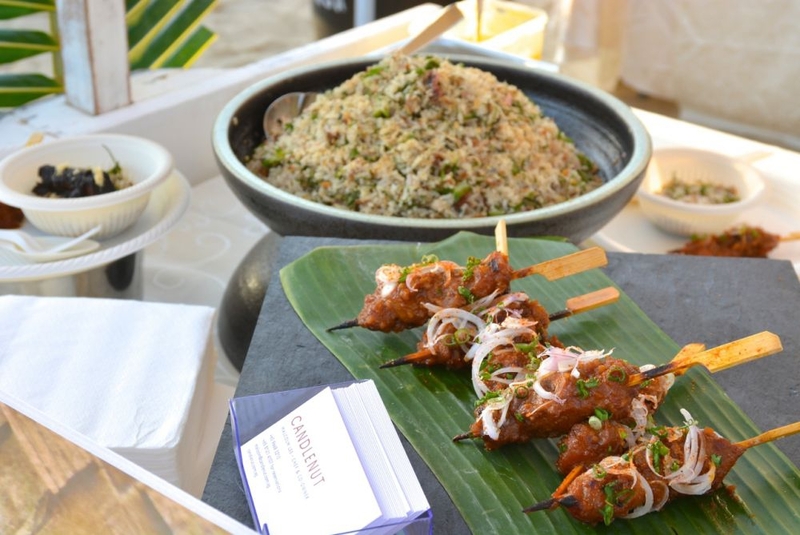 6.30pm End your day with a romantic sunset dinner at the BBQ by the Beach and treat yourself to life's simple pleasures. 9am After your breakfast at a local eatery or cafe, go for a morning stroll at Fort Canning Park then immerse yourself in the Peranakan culture at the Peranakan Museum, which is located just nearby. 1pm Discover the scrumption Peranakan cuisine at the Nonya Mobile which will also showcases interactive exhibits and cooking demonstrations and will be located on Orchard Road on that day. 11am ION Orchard Local Food Trail ( ION Orchard B4, advanced booking on +65 6238 8228). 12pm ION Orchard South East Sliders @ ION ORCHARD (ION Orchard B3). 12.30pm Check the latest fashion trend on Orchard Road and take advantage of the Great Singapore Sale to stock up on your wardrobe. 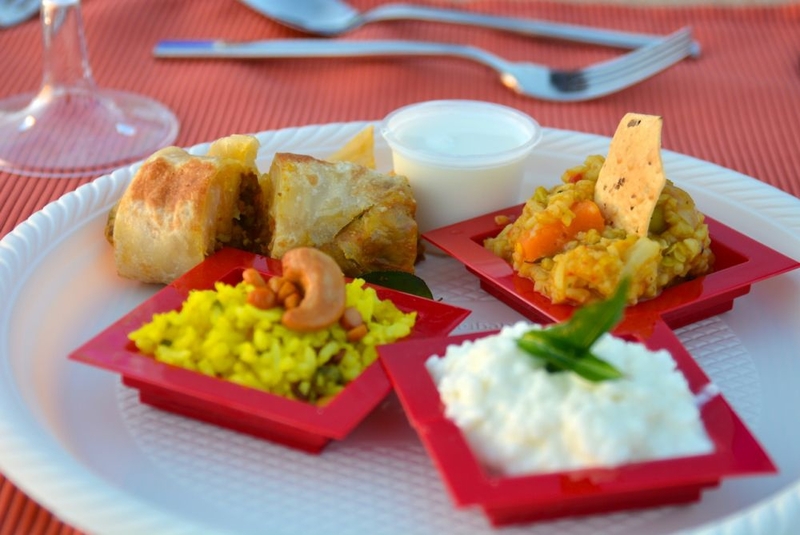 3pm During the SFF 2014 the best Indian cuisine in town will be found at the first edition of Suvai 2014 in Little India. There will be plenty of activities, hands-on cooking classes, masterclasses, live bands and it will last until late at night. 9am Local Breakfast at Chinatown Complex. 10am Explore the various temples and points of interests of Singapore's Chinese enclave. 12pm Heart-warming food from the past awaits you at the Singapore Chinese Dialect Heritage Feast. 2pm Spend the rest of your day on Sentosa Island with a BBQ by the Beach dinner. But if you didn't manage to get your ticket, no worries you'll always find a relaxed and nice restaurant on the beach to satisfy your munchies. 1pm On that weekend, there won't have any Nonya Mobile but you will still be able to enjoy Peranakan cuisine whether at the True Blue Cuisine, just a few doors away from the museum or directly at the Candlenut Kitchen so that you can try the intrigating Buah Keluak ice cream by Chef Malcom Lee. After you've been watered and fed the Singapore way, it's time to fly back home with some extra kilos under your belt and plenty of colourful memories of your Makan trip to Singapore.